The 2012 report, entitled 2012 Nutritional Analysis: Comparison of GMO Corn versus Non-GMO Corn, found numerous concerning and notable differences between GMO and non-GMO corn, none of which are particularly surprising. 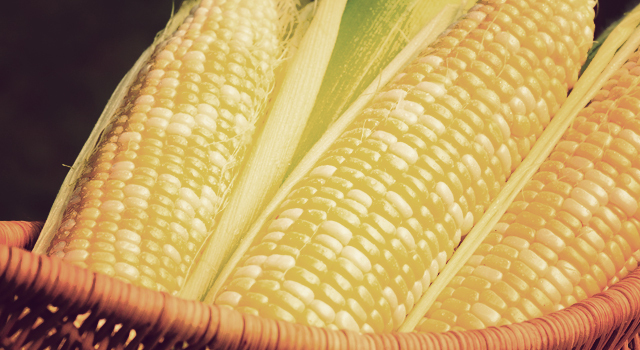 First, the report found that non-GMO corn has considerably more calcium, magnesium,manganese, potassium, iron, and zinc. Non-GMO corn has 6130 ppm of calcium while GMO corn has 14 – non-GMO corn has 437 times more calcium. Non-GMO corn has 113 ppm of magnesium while GMO corn has 2 – non-GMO corn has about 56 times more magnesium. Non-GMO corn has 113 ppm of potassium while GMO corn has 7 – non-GMO corn has 16 times more potassium. Non-GMO corn has 14 ppm of manganese while GMO corn has 2 – non-GMO corn has 7 times more manganese. As far as energy content goes, non-GMO corn was found to ‘emit 3,400 times more energy per gram, per second compared to GMO corn’, as reported by NaturalNews. Overall, the paper found that non-GMO corn is 20 times richer in nutrition, energy and protein compared to GMO corn.